The ROHO® LTV Scooter® Office Car Comfort Cushion has a valve that allows you to customize the seat to your specific comfort level. 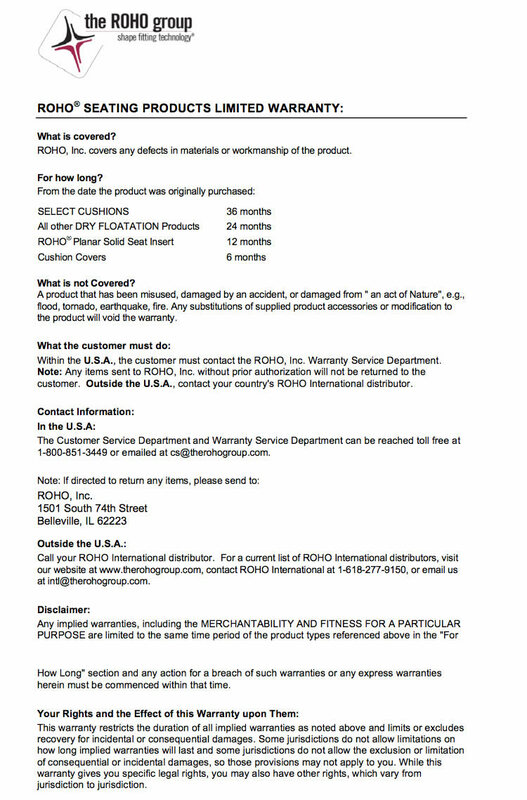 ROHO® Shape Fitting Technology® makes the difference. The LTV Seat® Cushion is made of individual, interconnected air cells that allow air to slowly transfer from chamber to chamber and evenly distribute body weight pressure. The easy-twist valve tailors the support to your needs precisely. It can easily be transported from your scooter, to the car or wherever you may need a cushion for use outside of a wheelchair. Lightweight. Easy to fold. Estimated Ship: Please call for estimated ship date. 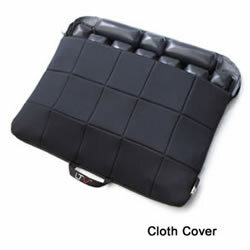 Choose from two designer covers: Black UltraLeather™OR Black Quilted Fabric. The Quilted Fabric cover option has a two-way stretch top that enables the cushion cells to conform to the individual's body shape. Encased foam is stitched into the cover for added comfort. The cover has a stretch 100% Polyester top material that is a durable heavyweight fabric, with a soft feel. The fluid proof, solid, non-skid base material offers a durable easy to clean surface. Complies with EN 1021-1, EN 1021-2 flammability requirements. The top and sides material is 100% Fire Retardant Polyester. Cushion Height: Adjustable 1 - 2"
Please Note: The LTV Seat® is a comfort cushion. It is not a medical device.